ExecuNet Innovation for Women, by Women. Period. LOLA customers can also choose how many boxes they want to receive in each shipment and the frequency of delivery, as well as modify, pause, or cancel the subscription at any time. LOLA subscribers “love the fact that they’re owning the whole process now,” Kier says. 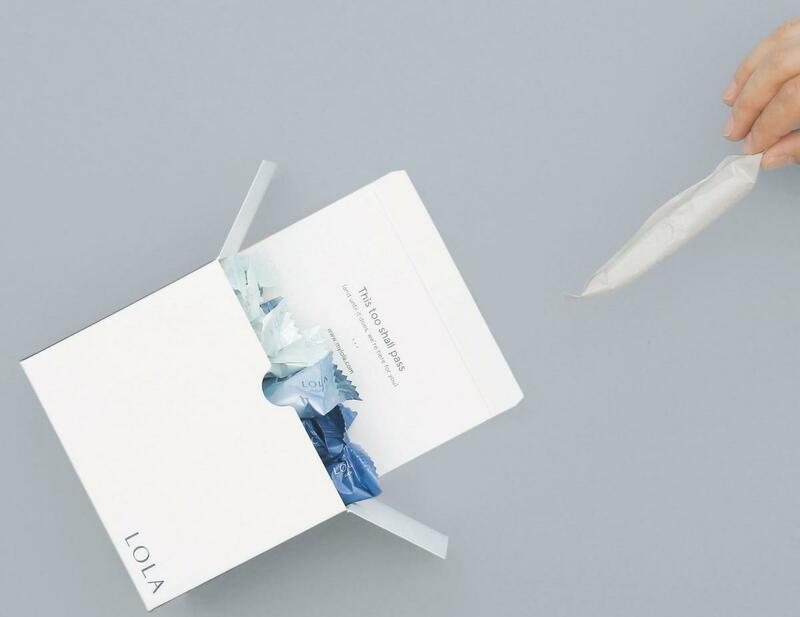 The minimalist, mostly white boxes are marked only by LOLA’s simple, elegant logo and a clear list of ingredients and absorbency information. “We really wanted to ensure that a woman would look at her box of tampons and not be reminded of how annoying her period is, but maybe how beautiful it is,” Kier says. That isn’t to say the LOLA founders don’t also acknowledge that annoyance, though; they simply address it with a sense of humor. “This too shall pass,” reads an inscription on each box’s inside cover, bringing a smile to a user’s face as she reaches for one of the tampons, each of which is wrapped in nonporous plastic designed to keep the cotton sanitary and protected from humidity — a concern for items made entirely of the fiber. What followed was two years of soaking up as much Columbia business education as possible, Kier says, as well as a summer internship at e-commerce platform Quidsi and a second-year internship at clothing-rental startup Rent the Runway. “Being in that environment — seeing how, every day, new decisions were being made, people were iterating off of other people’s work, asking questions, and really creating something out of nothing — was really exciting to me,” says Kier. Since then, Kier and Friedman — who, though they both attended Dartmouth, actually met because their husbands are colleagues (“They work together; now we work together, and they never see us!” Kier says)—have made countless investor pitches, at the start of which they typically unwrap LOLA tampons and soak them in participants’ water glasses, partly to show how the product works but mostly to dispel any elephant-in-the-room discomfort. LOLA has garnered more than $4 million in funding, media coverage in outlets as diverse as the New York Times and Vogue, and Instagram shout-outs by the likes of supermodel Karlie Kloss. Already, the brand has been working with Young Women’s Leadership Network in New York to help educate women about reproductive and sexual health and provide broader female empowerment opportunities. “[Women now] think twice about their embarrassment and then find confidence in the realization that they shouldn’t be [embarrassed],” Kier says. 1. Fact sheet, Absorbent Hygiene Products Manufacturers Association. 2. “Citing Gender Bias, State Lawmakers Move To Eliminate ‘Tampon Tax.’” NPR, March 6, 2016. 3. “Here’s How Much a Woman’s Period Will Cost Her Over a Lifetime.” The Huffington Post, May 18, 2015. 4. “Tampax Taxed.” Snopes.com, May 9, 2016. No Replies to "Innovation for Women, by Women. Period. "